It happens every year. As soon as the temperature start to drop at night in early fall, our customers start adding to their repair list “my low tire pressure light is on”. We hear it hundreds of times every fall. Tire pressure monitors are a great feature to have, and is mandatory on all vehicles sold in the US since 2008. It’s common to see an older vehicle equipped also, as manufacturers were preparing for the 2008 mandate. Driving with low tire pressure will over time destroy a tire and is down right dangerous. Ambient air and it’s moisture content will contract and expand with temperature fluctuations. That’s were Nitrogen tire fill can help. Nitrogen used to fill tires is virtually moisture free, so you don’t get the pressure changes like you do with regular compressed air. This saves fuel, extends the life of tires and makes your vehicle safer to drive. Replacing your existing air with nitrogen is simple and a fast procedure. For that service here at Creech we charge $45. Or if you are purchasing a set of new tires here we’ll discount it to $29.95. This is a one time charge for the life of the tires. So if you need one topped off, repaired or refilled for any reason there is no additional charge for the nitrogen. 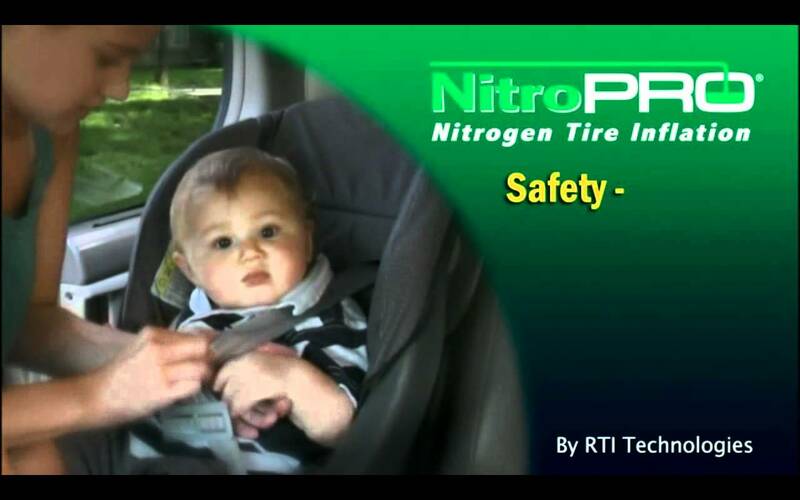 We use RTI Technologies Nitro-Pro equipment which is the best on the market today. So the next time your tire pressure indicator comes on this fall, get them filled with nitrogen for safety and piece of mind.